Our Responsive Design prepares websites for the future of modern website design by making them look really GREAT on all the devices people use in the modern world . We plan, design and develop stunning responsive websites that will increase conversion rates and overall traffic. We make sure our websites work really well on all devices. Our responsive website designs makes sure that your website is prepared for the future mobile web. SEO is the process of getting your website or a web page visible in a search engine’s unpaid results, This can be referred to as organic or natural results. The higher ranked on the search results page and more frequently a site appears in the search results list, the more traffic it will receive from the search engine’s, We consider SEO from the first day we start to plan our website build.For eCommerce websites its really important to get as much natural results as possible in order to assist in your online store. Social Media is a variety of Web-based platforms, technologies and applications that allow people to socially interact with one another online. With websites like Facebook, YouTube, Twitter, Digg, blogs and other sites. With social media being a major player for online marketing its really important to set up and maintain your social media site’s. At Durweb we will set up and train you to use social media and get the most out of it for your business. Your domain name is the name of your site or your url (www.example.ie).Website hosting or Web hosting is the serving and maintaining your files for your website. In order for your website to appear on the Internet, the files need to be uploaded to a server. Your host assigns an address (DNS) for your websites files to your domain name so that anyone can find your website on the Internet by typing in your domain name. At Durweb we can set up your domain name and host your site. 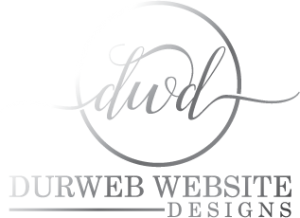 At Durweb website design we believe that businesses have the potential to sell online, we can assist with the building of a beautiful online store, and train them up on how update it easily with new products and all other changes that necessary. Durweb website designs help drive traffic to your site, by doing this increase sales.